MORE: Learn six ways to start purging the paper clutter in your home. But just because something doesn’t “spark joy” for you doesn’t mean it won’t for someone else. If the Netflix show or social media posts about your friends’ tidying efforts have swayed you to join the craze, think about how you’ll part with the things that no longer “spark joy” for you. By registering your sale on Dupaco’s website, you gain access to free publicity online and in a printed directory, along with the option to pick up a free sale kit with price stickers, signage, balloons and more. 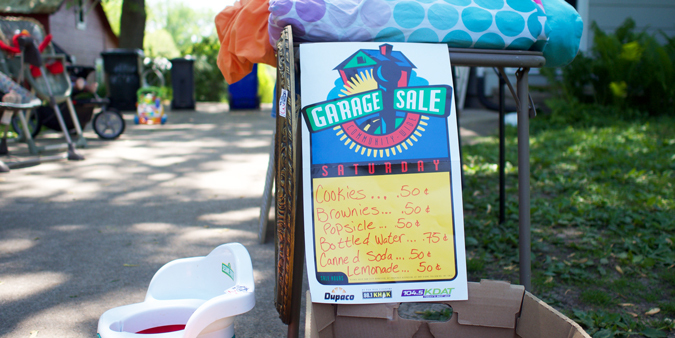 MORE: Learn how to throw a successful garage sale. Through the tidying process, Kondo says participants can restore balance among themselves, their possessions and the home they live in.